Cambellene Cool-Blue coolant concentrate is recommended for use with all wet abrasive cutting and most wet grinding of ferrous metals and titanium (except those cutting and grinding operations involving aluminum). Because Campbellene coolant concentrate is chemical in nature, it will not support bacterial growth or turn rancid. Campbellene coolant concentrate contains no oily or greasy substances, providing even more safety to your shop personnel and work areas. Offensive odors are minimized by the inclusion of an exclusive scenting agent â€“ Odormask. Campbellene coolant concentrate retards rust and minimizes the build-up of hard deposits thereby keeping the machine and parts clean and assuring a faster, straighter cut. This feature also promotes longer wheel life and better quality cuts. Recirculation of metal chips is reduced to a minimum because of extremely rapid chip setting. Non-foaming, Campbellene coolant concentrate allows close contact of coolant with the cutting wheel and work for maximum cooling. Cooler cutting will add to the life of the wheel. 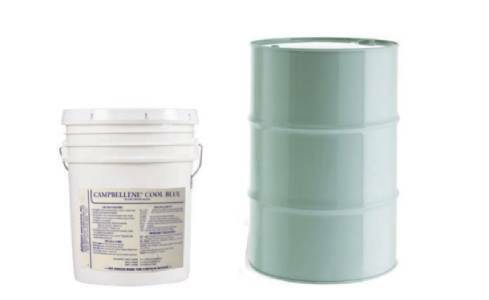 Campbellene coolant is available in handy container sizes, from convenient five-gallon plastic containers to the large 55-gallon drums. Because it used in extreme dilutions this solution is exceptionally economical. Campbellene Cool-Blue coolant concentrate measures up as the finest coolant for the price. For product specs, please see page 19 of the Allison Abrasives brochure. 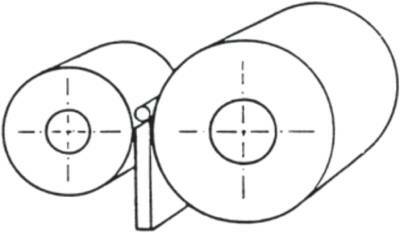 Allison Calendered Rubber Regulating Wheels are produced by the calender process. 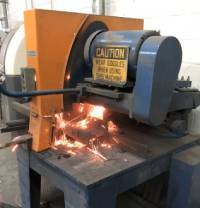 This process produces a regulating wheel with higher traction and a resilient toughness that reduces dressing, has good shape retention, and tolerates a greater variance in the stock going into the grinding operation. These characteristics provide a significant savings in overall grinding and maintenance expense. For product specs, please see page 20 of the Allison Abrasives brochure.